The fascination for exotic animal forms as art and decoration during the Victorian period stemmed from returning explorers and wealthy tourists as the empire spread across the globe. To show off this new found knowledge, new skills were born. The table bell was a normal part of dinner service in high society. Awaiting staff beckoned to attend and provide service. Our example is a small part of this history, combining the fascination of discovery in those inquisitive days with the simplest of functions in the fashionable homes of the day. If we were being waited on at the table today I am sure communication would be via wireless technology or similar! 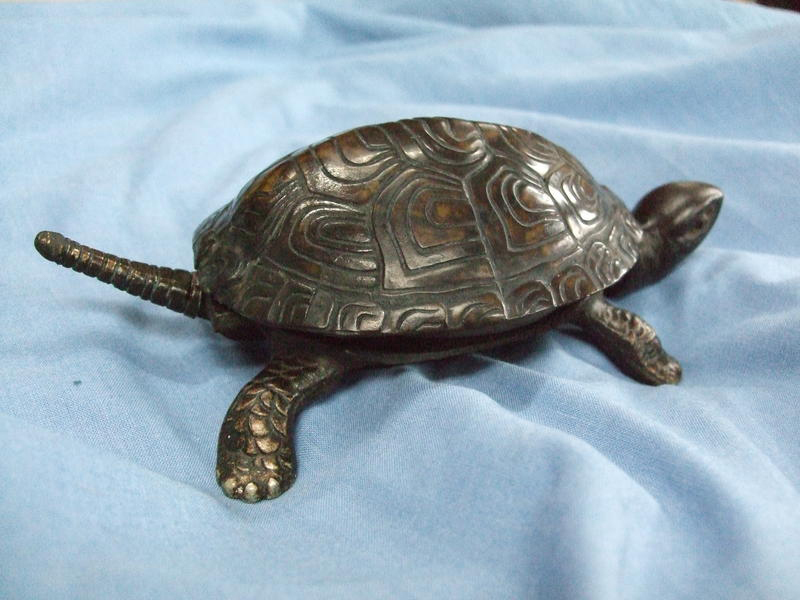 This tortoise table bell, I am sure, is a rare small beast as it has retained it’s original cellulose simulated tortoiseshell case and its original painted body. 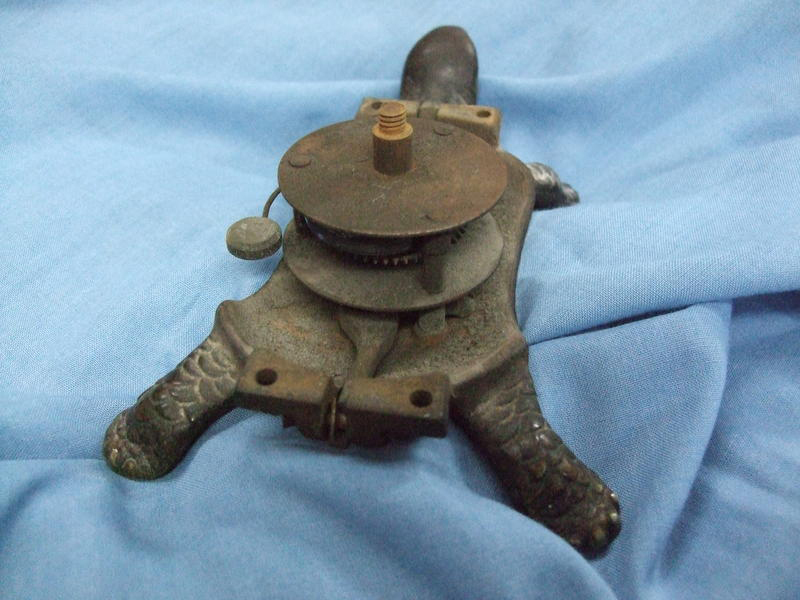 The shell is very delicate and vulnerable sitting atop a heavy cast metal frame housing the clockwork mechanism and bell. Winding the mechanism entails turning the delicate tortoise upside down. Either the tail or the head can be pressed to actuate the bell. No wonder few survive. First shaping the metal then sculpting the articulated rings, brazing the new tail to the remaining part of the operating lever and then finally patinating the tail to match the feet. 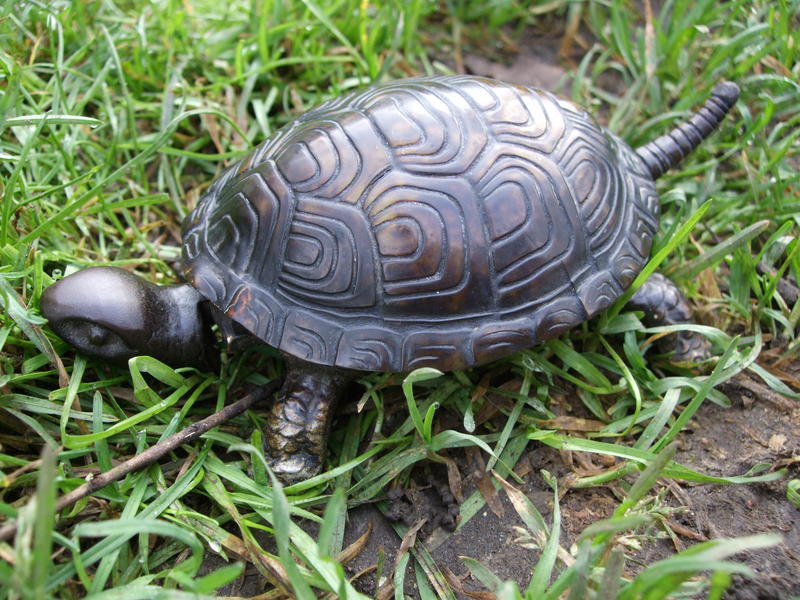 A light reviving of the painted surfaces brought the tortoise back to life! Tortoise Table Bell released into the wild for a short time!